Clarke & Severn Electronics announces the availability of a new range of nuts and coupling rings from Conxall featuring colour coding. 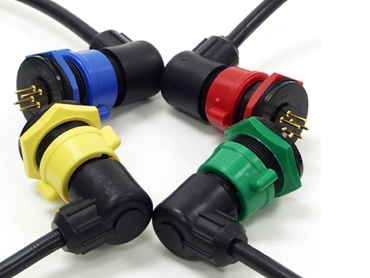 Part of the Con-X Connector Series, the new colour coded nuts and coupling rings are available in blue, yellow, green and red, allowing for easy colour matching and identification between cable ends and panel connectors, particularly when using more than one circular connector. The colour coded range is only available as an assembly when ordering Con-X connectors with minimum order quantity of 100 pieces per option.